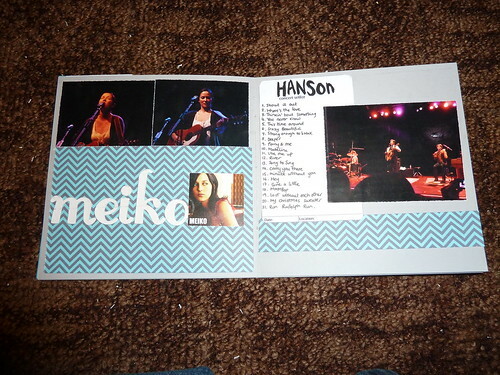 I made this album from scratch to give Hanson during my meet and greet in 2007. I had pages from some of the meet and greeters and some of my newsclippings from when MMMBop was released back in 1997. The theme of the album was “ten” as it was 10 years since MMMBop and Middle of Nowhere was released. went down the queue outside the venue and had fans sign it. A 12×6 album I made about the 2007 concert. These are just a few of the pages. 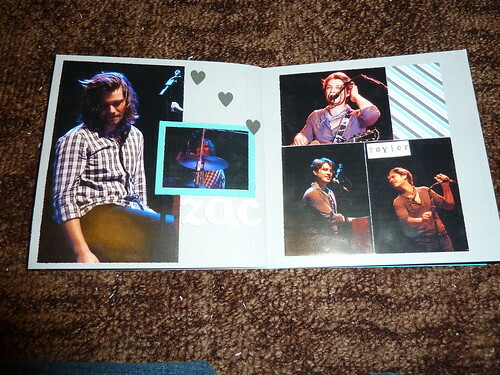 I used left over supplies from the album I made the guys. 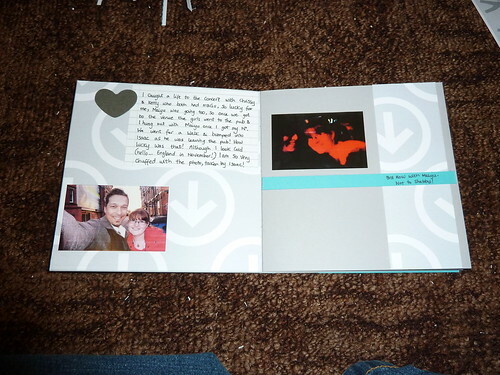 Again, using left over supplies from the album I made for the guys, I made this double layout for one of my regular scrapbooks about the Meet and Greet. 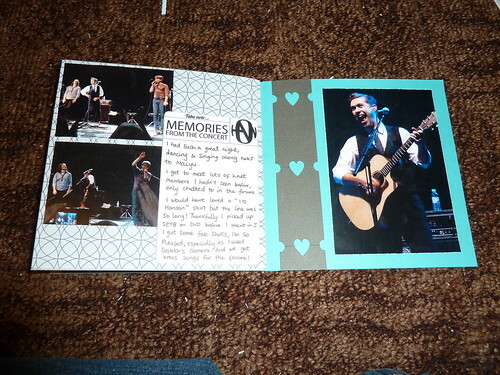 The left page shows the picture of us and the guys, and the right page features my M&G pass, miniature version of the album I made for Hanson using scans I made of it (minus the fans signatures in the back), and I mounted the flier of the UK tour on hinges which I put a pocket containing my ticket and M&G e-mail and my account of the whole experience behind it. Made using the free digital kit download, I went to my local scrapbook store with a print of the patterned paper to compare it to the cardstock being sold so I could buy the closest colours to the kit. 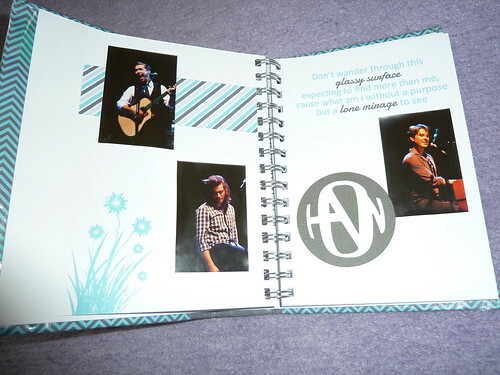 I used my craft robo to cut the Hanson logo 2010 for the cover (thank you Hansonish.com!) 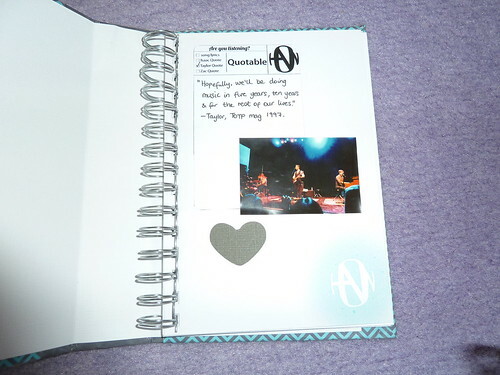 I also used my Hanson journalling blocks, American crafts thickers (on “Zac” and “Meiko”) and Making Memories letter stickers (on “Taylor”) to add the finishing touches to the pages 🙂 The whole book is stitch bound with wax thread.